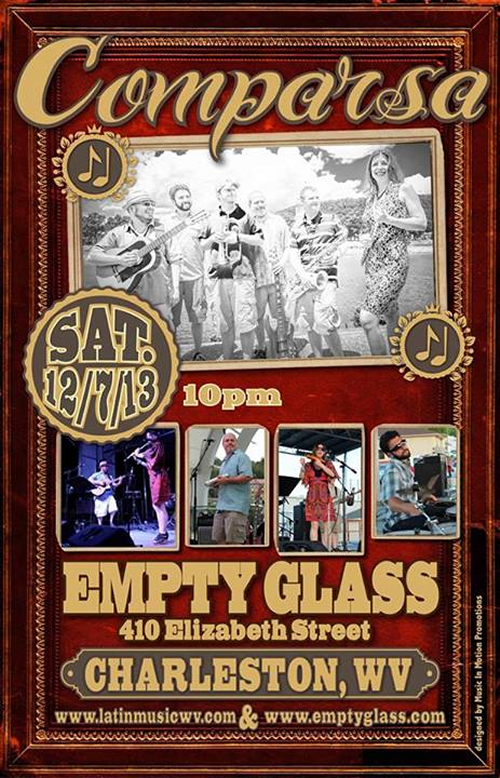 The seminal Charleston Christmas tradition continues for its final weekend this year. 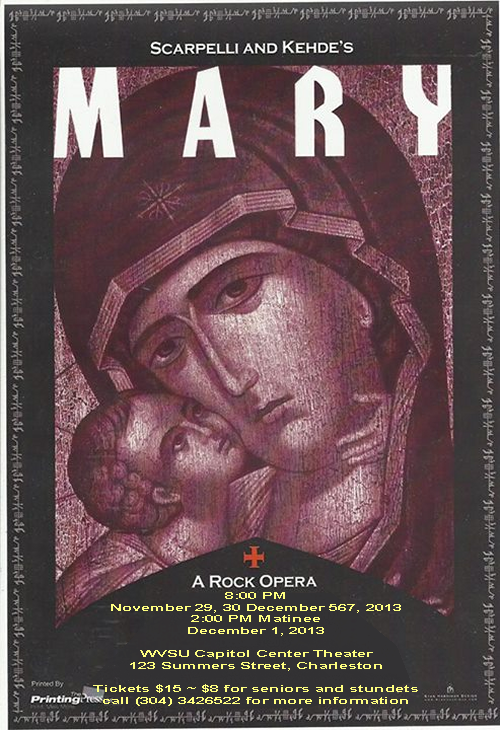 See MARY at the WVSU Capitol Center Theater Thursday, Friday and Saturday night at 8 PM. Details and video can be found here. 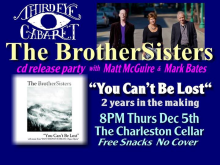 Third Eye Cabaret presents the long-gestating debut CD by The BrotherSisters, who will perform “You Can’t Be Lost” in its entirety, along with video presentations and special Third Eye Cabaret sets by their guests Matt McCune and Mark Bates. There is no cover charge at Third Eye Cabaret. The rest of the evening’s entertainment is also free, or at least cash-free. Mojo’s Comedy open mic continues building Charleston’s stand up comedy scene into something special. The laughs start at 9 PM at Mojo’s Sports Bar, behind the Mound in South Charleston. 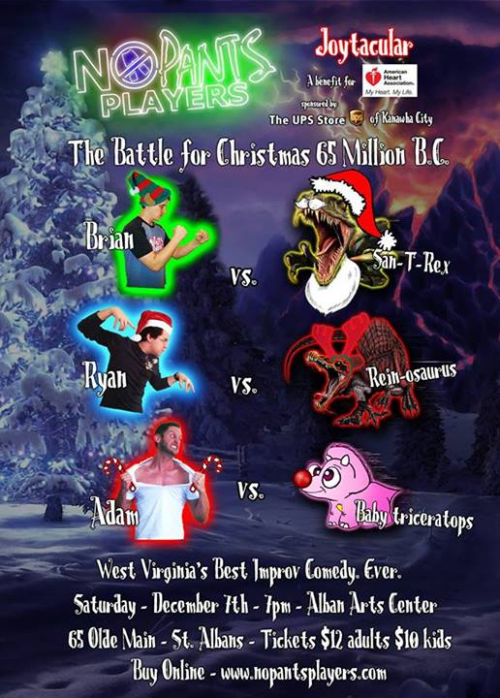 The biweekly Improv games at Kanawha Players happen at 7 PM. Anyone is invited to join in and polish their improv skills in a friendly evironment, free of firearms and hostile mobs carrying torches and pitchforks. 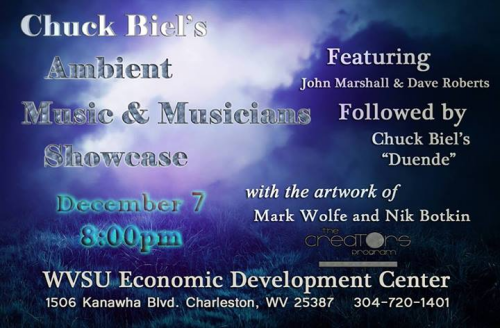 Quality free music Thursday night includes The Dread Pirate Roberts at Bluegrass Kitchen at 7 PM, the Ray Barr Trio starting at 7:30 PM at The Vandalia Grille and the Bob Thompson Trio at 8:30 PM at Charleston Brewing Company. At the LaBelle Theater in South Charleston, six non-perishable food items gets you in the door to see DON GIBSON AND THE VELVETONES from 7 to 10 PM. 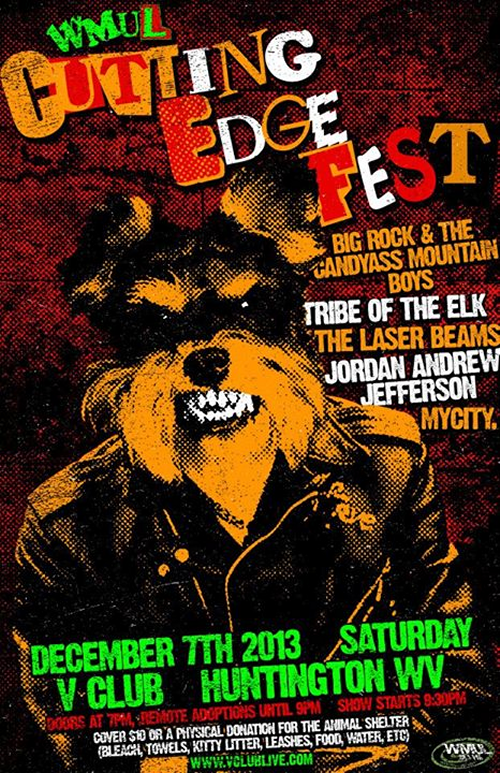 This is a benefit for Heart and Hand Food Pantry. The 11th Annual River Arts Show happens at 6:30 PM at UUC. I told you all about it in this post. Hybrid Soul celebrates three years as a musical entity with several guests sitting in at a show scheduled to start at 9 PM at The Empty Glass. Cover charge is seven dollars. 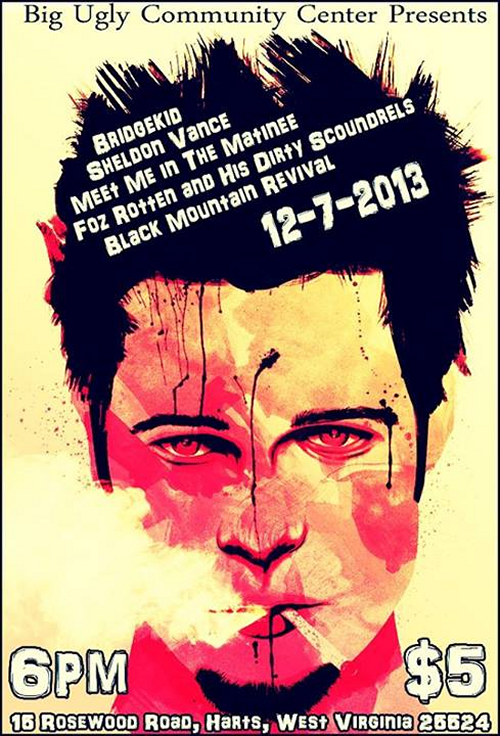 Yetti Burps with Foz Rotten and his Dirty Scoundrels take the stage at The Boulevard Tavern for a night of debauchery at 10 PM, with a six-dollar cover. You may have read abot +1 to Athletics, the upcoming web-based fitness series aimed at the fans of genre culture (I hate to use the words “nerd” or “geek”) here in PopCult before. At 4 Pm they will be holding a meeting at Kanawha Players to discuss starting a Charleston chapter of the Hash House Harriers. This meeting will be for an episode of the series about running, so they need as many people as possible. Hashers describe themselves as a “Drinking Group with a Running Problem.” The idea is to make running a social activity. The hope is it will be more motivating then running by yourself. If this turns out well, it may turn into a regularly-scheduled activity. It is open to all fitness levels. The run is designed to make sure everyone has fun. The Charleston Civic Chorus Winter Concert takes place at 3 Pm at Charleston Baptist Temple. Admission is free. This concert includes seasonal works by Eleanor Daley, Craig Courtney, Howard Helvey and J.S. Bach. Marshall Petty and the Groove with Clay Norris and Hightower (The Block Man) perform at The Fifth Quarter from 5:30 to 8:30 PM with no cover charge. George Brackens hosts the open mic at The Upstairs Lounge at Little India from 8:30 to 10:30 PM, again with no cover charge.